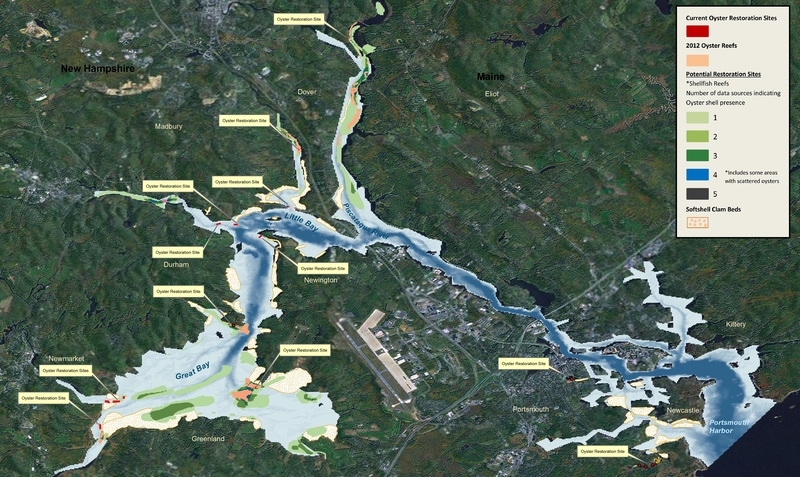 Our home is the University of New Hampshire's Jackson Estuarine Laboratory, an off-campus research facility located on the shore of the Great Bay Estuary. Most of our work deals with the ecology of invertebrates living on the seafloor, including those in estuarine and shallow continental shelf habitats. Since 2000, a major effort has been oyster reef restoration projects ranging from small experimental "mini-reefs" to full-scale restoration of natural reefs. Recently, we have conducted research projects on integrated farming methods for oysters and seaweeds, and the roles that oyster farms as well as natural reefs play in nutrient processing. Our capabilities also include: seafloor mapping using towed underwater video systems, sonar, and satellite imagery; assessing the effects of marine protected areas on seafloor ecology; assessing the impacts of aquaculture activities on benthic communities; characterizing the succession of fouling communities on marine aquaculture cages, particularly in the context of anti-fouling properties of coatings and paints; and developing new methods for quantifying oyster reef water filtration rates. In addition to New Hampshire, we have been involved in research and contract projects in New York, North Carolina, South Carolina, Georgia, Florida, and the United Arab Emirates. We regularly partner with scientists from other institutions, and it is these collaborations that allow us to maintain capabilities across a wide range of coastal issues and research topics. 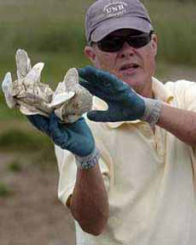 Ray Grizzle currently works as a research professor at the University of New Hampshire and has been with the university since 1999. He received his Ph.D. from Rutgers University in 1988. Krystin Ward has been working as a technician at the University of New Hampshire's Jackson Estuarine Laboratory since 2005. She has a BA in Marine and Freshwater Biology. Krystin also owns and operates ﻿Choice Oysters﻿, a shellfish aquaculture farm in Little Bay, NH. Robert Eckert is currently a graduate student in our laboratory. 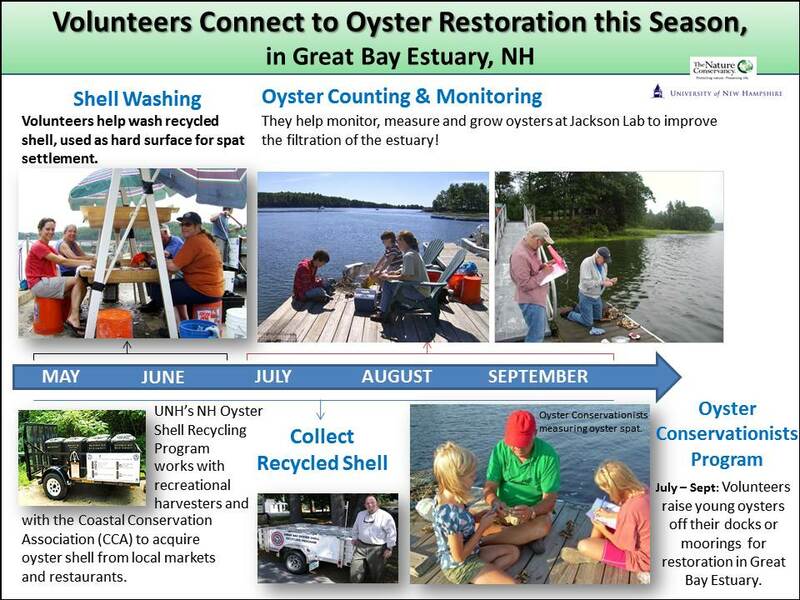 Since the fall of 2013 he has been working with patent tongs to collect oysters on natural reefs and restoration sites within the Great Bay Estuary. He will be looking at how oyster settlement differs within the Estuary. Megan Glenn is currently a graduate student in our laboratory and her research focuses on the habitat supported by oyster aquaculture. We also have a number of part-time positions for UNH work-study students during the academic year and sometimes during the summer, and we occasionally have graduate research positions in our lab. Please feel free to contact Ray Grizzle via email or Krystin Ward via email if you have questions.